SEOUL, Nov. 1 (Korea Bizwire) — K-pop group BTS has joined the United Nations Children’s Fund (UNICEF)’s campaign to fight violence against children. 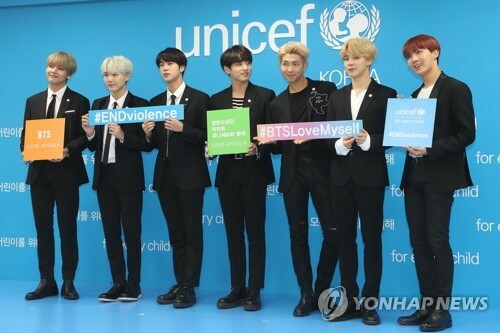 The boy band and the Korean Committee For UNICEF announced the launch of the “Love Myself” initiative Wednesday, a two-year fundraising scheme to support UNICEF’s #ENDviolence program. #ENDviolence, launched in 2013, is a global initiative involving governments, private sectors and non-governmental organizations to end abuse, exploitation, trafficking and all forms of violence and torture against children. “BTS and Big Hit Entertainment have partnered with the Korean Committee For UNICEF to sponsor its #ENDviolence program,” BTS and its management agency said in a press conference at the UNICEF Korea’s office in western Seoul. The group and Big Hit Entertainment pledged to donate 500 million won ($448,000) to the campaign and will also offer 3 percent of sales income from BTS’s “Love Yourself” album series to the cause. All the income from sales of official merchandise related to the “Love Myself” campaign and donations will also be put towards #ENDviolence. 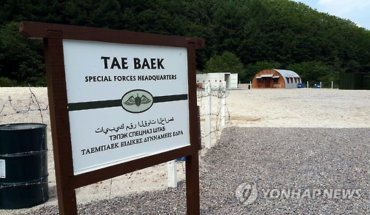 Suh Dae-won, executive director at UNICEF’s Korean committee, said the funds will be used to help children suffering from violence throughout the world. 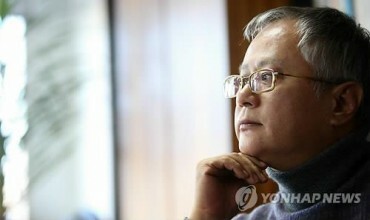 “We will work hard for the children to heal their wounds and open up a better future,” said Suh. On the group’s release of a new album, “Love Yourself: Her” last month, leader Rap Monster said that the band wanted to underscore the importance of self respect and convey the message that people cannot care for others before first learning to appreciate and love their inner selves. “Starting with the simple phrase asking us to better care of ourselves, we can recognize the value and importance of each individual. I’m hopeful that we can move forward in a more positive direction together with the young generation,” Rap Monster said.